This year’s Bellevue art festivities will take place on the weekend of July 27th through July 29th. 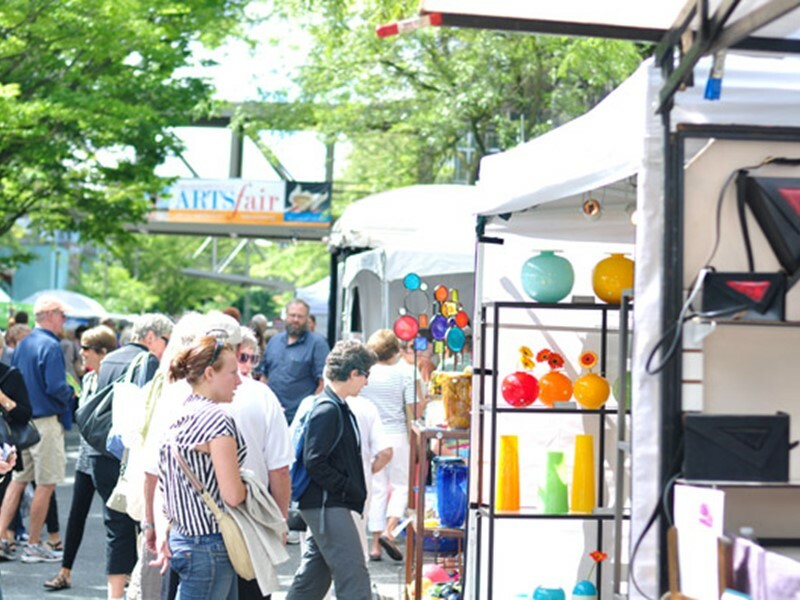 Three separate art fairs are featured; Bellevue Arts Fair, 6th Street Fair, and Bellevue Festival of the Arts. All events are free to the public. Bellevue Arts Museum is celebrating their 72nd BAM ARTSfair, which will feature thousands of original artworks, a mix of community programs, free admission to BAM, live music and more. This year’s line-up of artists comes from the Pacific Northwest and are chosen through a process designed to ensure diversity and quality. The fair features artists working in different media like wood, glass, ceramics and paint. Free programs include community art-making, live performance art, and the KIDSfair. The Sound and Movement Stage will have local musicians and artists from 4Culture’s Touring Arts Roster, and the BAMboozle stage will have local music and dance for kids. Over 100 artists will be featuring their original work in an open-air showcase of sculpture, jewelry, home decor, wood and glass work, fabrics, and more. There will be a wide-range of arts and crafts like bead work, pottery and painting. The fair features a street-side layout next to the Bellevue Connection. Friday and Saturday: 10:00 a.m. to 8:00 p.m. Enjoy a weekend full of artwork, local music, food and family-friendly fun. There will be a children’s art activity tent and Aubrey’s Art Corner. The festival features 175 artisans and craftspeople from the Northwest and elsewhere. Bellevue Festival of the Arts is produced by the Craft Cooperative of the Northwest and is organized by artists. This will be their 34th year at the festival. Proceeds are donated to a variety of non-profit and charity groups.